Want Project Management As A Career Path? Its future outlook is one of the most important things to consider. After all, you want to work in a field that grows steadily and can weather a bad economy. Read on to find out what the future outlook for project managers is and how you can stay competitive. A job’s future outlook is one of the most important factors a person thinks of when deciding his or hercareer path. In addition to choosing something you love to do, you also want it to thrive and prosper. You want a career that gives you ample opportunities to grow but can alsoweathera sinking economy. What Determines the Outlook of a Career Path? A career path is a person’s progress in his or her career development. Each employee starts at one level in his or her job and gradually grows into higher levels, depending on education, experience, skill and excellence. A career path serves as a plan for someone’s future, but the future doesn’t always pan out as planned. The job outlook, or the prosperity and availability of a certain job, can be determined using market research and statistics. It offers the expected growth rate of a job and helps people in deciding their careers. Several factors determine the job outlook of a career. They include economy and industry trends. Because each industry has a need for project managers, becoming a PM may be a great career path for those wanting jobs with steady growth rate. Why does Project Management Have a Bright Outlook? All industries have projects and need project managers to coordinate them. Whether it is construction, software or healthcare, they all need leaders to manage their teams, estimate and budget, and make sure that everything gets done. If you are a skilled worker in a specific industry, you have the opportunity to move easily into a PM role. For example, after some PM training, a software developer can become an ITproject manager due to his or her technical expertise. Right now, there is a huge demand for qualified Project Managers in South Africa, project management opportunities depend on the number of projects taking place. If you’ve gone through the process of obtaining a PMP Certification, you have a standardized knowledge set – and the credentials to prove it. When applying for a job against competitors, having the credentials in hand will put you ahead of those who don’t. 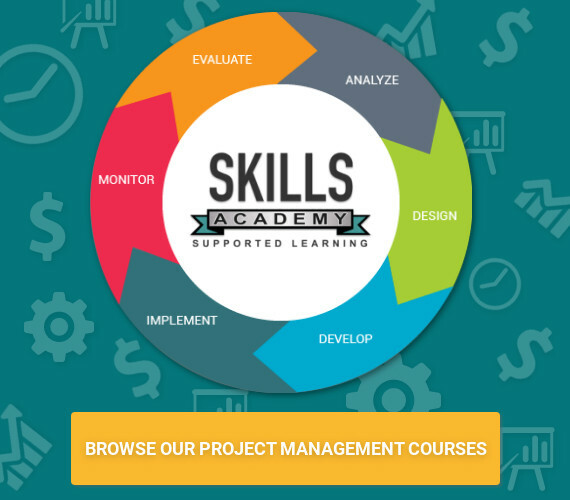 The standardized knowledge set you will acquire through the certification process will give you the best practices to aid your company in managing any given project effectively. PMP certified project managers receive an average starting salary of R23, 551 a year. Conjointly, overall PMP credentials will gain you a 20 percent increase in salary over non-credentialed project managers with similar qualifications. Let’s face it; we’ve all had teams that for whatever reason did not work together as a cohesive group. By obtaining a PMP certification, you will learn valuable skills that will in turn help you to evaluate whether or not that potential team member will be able to work well with everyone or not. The PMP certification is renowned throughout the world. Part of that marketability comes from the prestige of PMI certifications; achieving the globally recognized Project Management Professional (PMP) certification will provide evidence of an individual’s knowledge, experience and ability to successfully manage a project. It improves the way an individual manages a project.